Kenneth Bush solicitors are committed to providing our clients with peace of mind. We offer a comprehensive range of specialist services. Whatever the legal issue – for example buying your first home, starting up in business, making a Will or dealing with difficult decisions about how best to care for a loved one, we at Kenneth Bush are here to help you. We recognise that the law can sometimes appear daunting, complicated and confusing. With our unrivalled personal service and extensive legal knowledge we will work with you to get you to the place you want to be. As a local firm we recognise the importance of putting something back into our community and over the years we have supported various local charities. Since 2015 our principal charity has been the Queen Elizabeth Hospital in King’s Lynn and thanks to the fantastic efforts of our staff and the support of our clients we have helped raise thousands of pounds for their fundraising campaigns. This year we are supporting the Hospital’s Wheely Big Appeal. The aim of the campaign is to raise funds to buy 30 specialist wheelchairs. 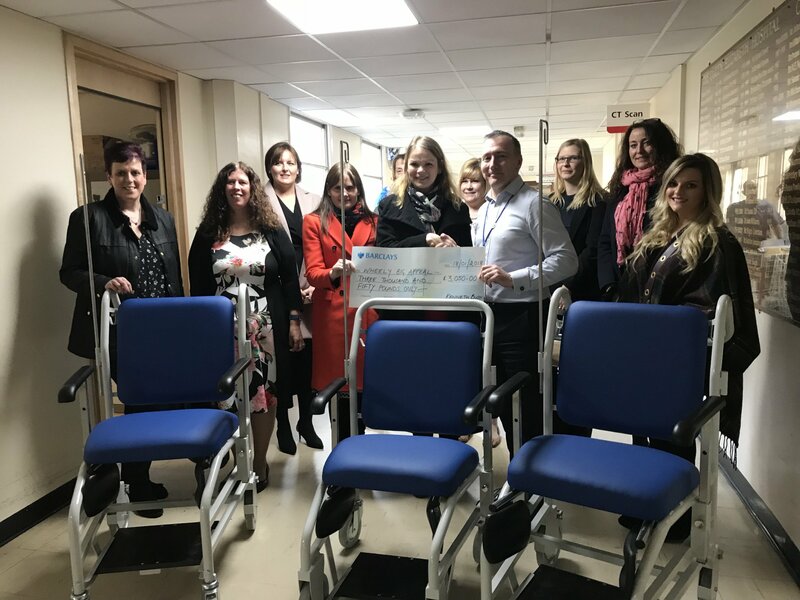 Click here to see a photograph of some of our staff at the Hospital presenting a cheque as the latest part of our fundraising efforts. For more details about the Wheely Big Campaign, how you can support it and really help make a difference to peoples lives click here. As well as our continued support for the Hospital we are also proud to announce that in 2018 we are going to work with the Norfolk Hospice who provide invaluable support, care and advice for the terminally ill and their families through all stages of their illness. Amanda Davies will be running the London Marathon in 2019 to raise funds for the Hospice. To find out how to support Amanda click here and also check our twitter page for regular updates on how her training is going.